In preparing for our trip, we sat down and discussed how best to manage our money. When we’re not traveling, we pay for everything with credit card and pay it off each month. This allows us to easily track our spending and maximize our miles and points from different reward cards. As you know, we were able to afford our RTW flights through the miles and points we accumulated via credit cards. When deciding which cards to bring, you must balance the convenience and versatility of having all your cards in one place with the risk of them all being lost or stolen at the same time. Here are the 5 cards (3 credit, 2 debit) we decided to bring with us and a quick rundown of the pros and cons of each. We have done a lot of work getting the cards that we think are most beneficial to us, so please ask us questions or leave your tips on which cards you have used when traveling. Foreign transaction fees. Many banks will charge a fee for transactions that occur outside your home country. While it may not seem like much to be charged 1-3% per transaction, it can really add up, especially over an entire year. Network coverage. You want a card network that will be available where you are going. A good guidebook or google search should tell you whether or not your card will work in the countries you are traveling to. Stick to Visa or MasterCard. Rewards. Use a card that earns rewards (points or miles) to help you fund your next trip. Don’t use your cards for cash back or gift cards if you ever want to travel as the value is much lower than the potential value of miles or points. We recently applied for this card specifically for the trip. We received a 50,000 point bonus after meeting an initial spend requirement of $3,000 in 3 months, which included many of our pre-trip costs. 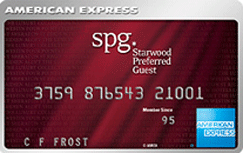 This card earns Ultimate Reward points which can be redeemed directly for travel on many carriers. It’s also a sleek looking card that will get more than a few comments from cashiers. The big point bonus plus the lack of fees made this the perfect choice for our main card on the trip. Caroline and I both applied for this card last year during their big bonus and each earned 100,000 miles. British Airways allows members of the same household to pool points together which gives us over 200,000 BA miles together. I’m not currently looking to earn any more BA miles due to their recent devaluation, so this card is our backup in case we can’t use the Sapphire card or we lose it. This card—although recently challenged by the Sapphire card—is traditionally the most valuable and most recommended rewards card to have in your wallet. So even though it does charge foreign transaction fees and isn’t a Visa or MasterCard, we brought it along as another backup. When we aren’t traveling, we do all of our spending on this card, and I recommend you do the same. This is the mother of all online checking accounts. Not only does it earn interest, but you can use any ATM in the world without paying any fees. Schwab will refund any fees charged to you when you use another bank’s ATM. No more searching for your local bank’s machines or paying $3 every time you need to get cash. The account also earns interest, comes with free paper checks and can be managed completely online. This card is only a backup in the case that we need to get to an ATM or need a debit card and the above 4 cards can’t be used. I hope this was helpful in determining which cards you should take with you when you travel internationally. New credit card deals come out all the time, so this list could change in the future. Just wanted to say thanks for this post! I’m about to embark on a year long trip of my own and when I found this post through google it really helped me with my own banking decisions. Hope your travels are going well! Glad it helped Mel! I have a background in personal finance, so I want to share all that knowledge with everyone. If nothing else, Charles Schwab is the BEST! Chase debit card is pretty useless as some countries are ‘blacklisted’, thus you won’t be able to withdraw cash from those countries! For example: Singapore, Indonesia.